TribalTique Denver is now Vespertina Dance Project! “TribalTique has been teaching and performing in the Colorado Front Range Area and nationally since 2004. 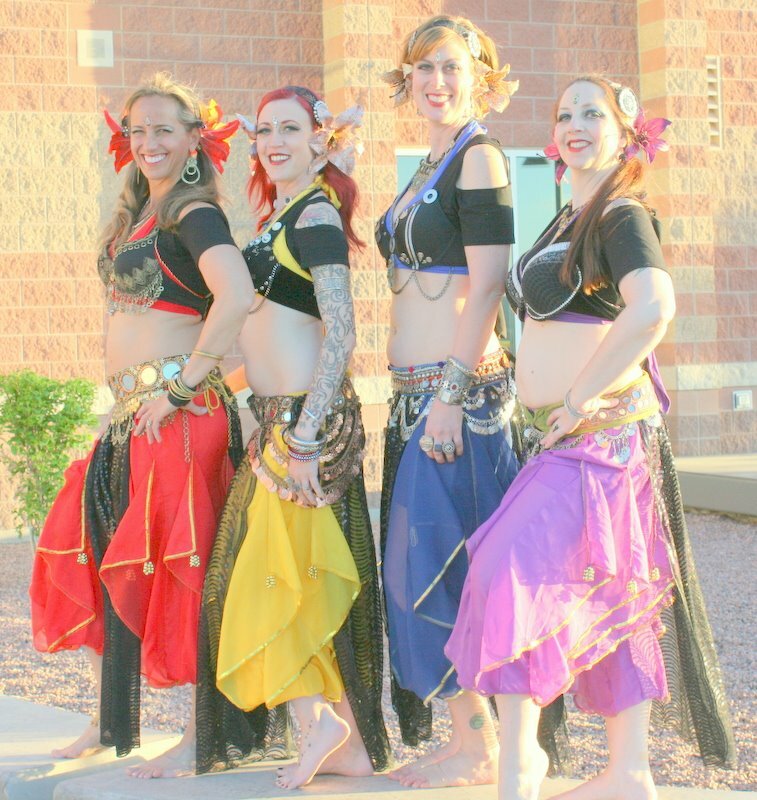 Comprised of Julia DiVerdi and Molly McClellan, TribalTique fostered a new vision of Tribal Improv and Tribal Fusion Belly Dance in Colorado and beyond. After nine fun and creatively wonderful years, Molly, Julia, and TribalTique are parting ways in order to evolve and explore other creative pursuits and adventures. In light of these new and promising developments, Julia and TribalTique Fort Collins (FoCo) will be come Sumatra Belly Dance and Molly and TribalTique Denver will become the Vespertina Dance Project. Julia and Molly will individually continue to perform and teach classes, both locally and across the country. We have been so blessed and honored for all of the support that we have been continually given on this journey from our fans, local community, and loved ones. We would love to express our heartfelt thanks to every last one of you. We look forward to continuing to be a part of this community and showing you all of our new and exciting projects. For me, this means I get to keep dancing with the ladies I love in group improvisational tribal format, learning from Molly, and continuing to push my dance boundaries with more tribal fusion choreography, collaborations, and solo projects.